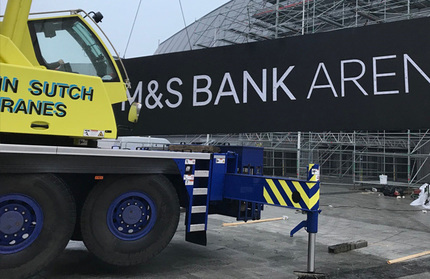 When M&S Bank announced that it would become the new naming partner for Liverpool’s iconic waterfront arena from 2019, they enlisted the expertise of the Principle team to ensure that the transition from old to new signage was expedited quickly and flawlessly. Working to a very short lead time, the Principle team had 23 days to design, fabricate and install two extremely large illuminated signs to either side of the arena, plus lower level exterior and interior signage. Challenging access and weather issues, in addition to complex structural engineering requirements, demanded flexibility in how the Principle team approached this project. The project was completed on time and the client was delighted, expressing their thanks to all involved. Given the timescales this project demanded exceptional project management, which included liaison with key stakeholders - M&S Bank, ACC Liverpool the arena owners and M&S’s design company The Chase. David Shearman, Head of Facilities Management.